From Kamchatka to the Kuril Islands. When you ask a Russian about Kamchatka, it will almost sound to him like Australia or the moon. Indeed, at about 10,000 km to the East of Moscow, the biggest city of the region, Petropavlovsk-Kamchatski is, by sea or by plane, is the only point of entry into the Kamchatka Peninsula. With less than 1 inhabitant for 10 sq. km, there are more fierce brown bears than people in Kamchatka’s infinite forests. Kamchatka Peninsula was explored only in 17th-century by Vladimir Atlasov, who incorporated it into the Russian Empire. 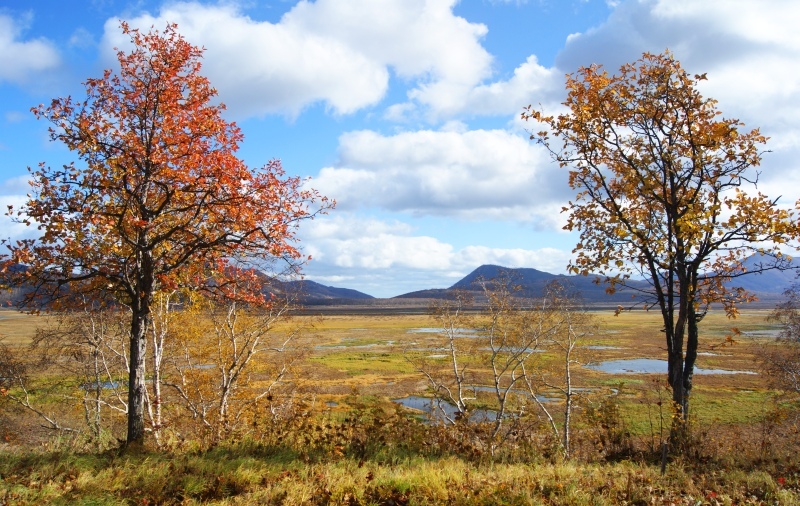 Kamchatka highlights are its volcanic landscapes and forests, especially during the colorful Indian summer. A view at the large bay of the Petropavlovsk-Kamchatski port. From Petropavlovsk-Kamchatski, I embarked on one of the few cruise ships going to the Kuril Islands. The Kuril Islands is an archipelago situated between Japan and the Kamchatka Peninsula in Russia. It comprises 56 islands forming a 1,300 km regular line. The Kuril Islands are part of the Ring of Fire of the Pacific that stretches 40,000 km around the Pacific Ocean and accounts for 80% of all active volcanoes in the world. 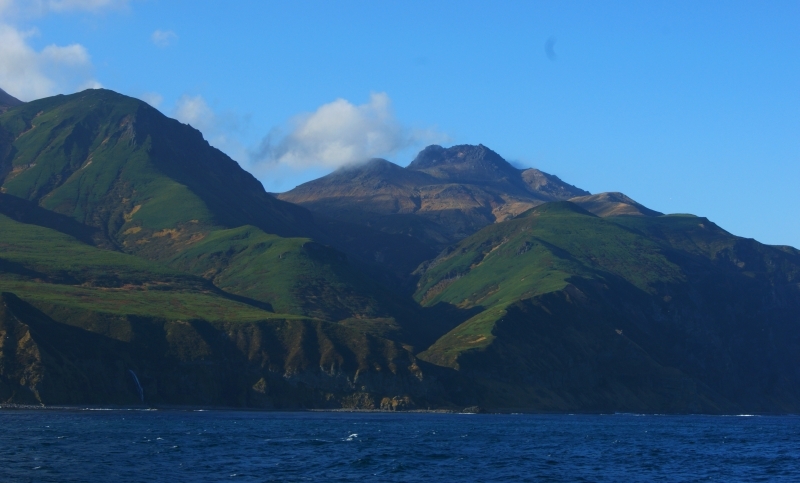 Most of Kuril Islands are actually volcanoes, 40 of which are still active. On the edge of the subduction zone of the Pacific Plate and the Okhotsk Plate, the Kuril Islands form a sort of wave above the ocean, moving slowly (a few mm a year) eastward as the Pacific Plate lifts the edges of the Okhotsk Plate. The downward movement of the Pacific Plate under the Okhotsk Plate is much faster (3-4 cm a year). It brings the oceanic sediments under the crust. The high pressure transforms it into magma to finally erupt through one of the numerous volcanoes. There is a very deep (up to 9000 m depth) oceanic trench along the archipelago. The Kuril Islands are permanently subject to an intense seismic activity. There is about one significant earthquake every week, some resulting in tsunamis. The whole of Kuril Islands is under the Russian jurisdiction, although Japan claims four southern Kuril Islands close to Hokkaido; Iturup and Kunashir being the biggest ones, and are inhabited. These islands, known in Japan as the Northern territories, were seized by the Soviet Union in the aftermath of WWII. The local Japanese population was either deported or sent to labour camps. This dispute never allowed Japan and Russia to formally sign a treaty of peace after the war, nor was any treaty signed regarding the Kuril Islands. In 2013, the Russian Prime Minister Dmitry Medvedev visited the Southern Kuril Islands and triggered a stiff reaction from his Japanese counterpart. You may ask why the Soviet Union did grasp the southern Kuril Islands, and why keep them today. The Kuril Islands give USSR a full military control over the Sea of Okhotsk, thus securing its remote Pacific coast, as well as a good fishing zone. The Kuril Islands seizure was done in a context when Japan was on its knees and both the United States and the USSR were competing to get strategic zone around the world. 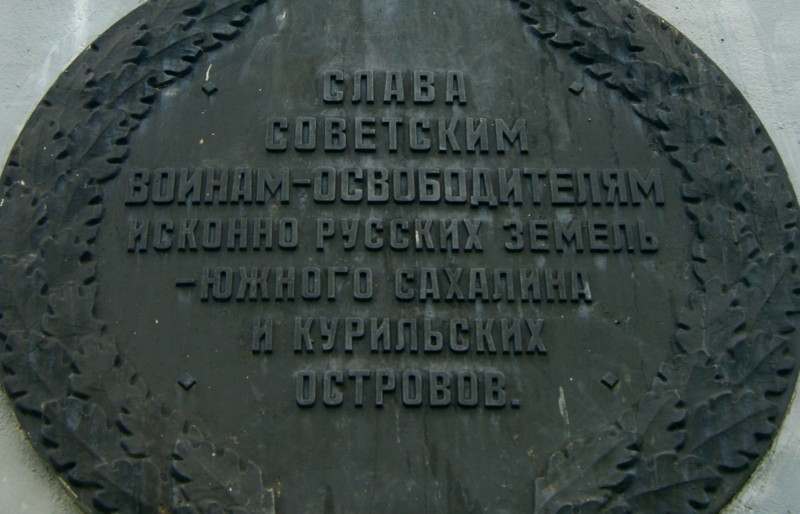 Today, Russia strongly assert its rights to keep these islands with their settlements, as illustrated by this picture of a monument in Yuzhno-Sakhalisnk, reading: To Soviet soldiers, liberators of the originally Russian territories, Yuzhno-Sakhalisnk and the Kuril Islands. Now let’s look at the Kuril Islands from North to South. 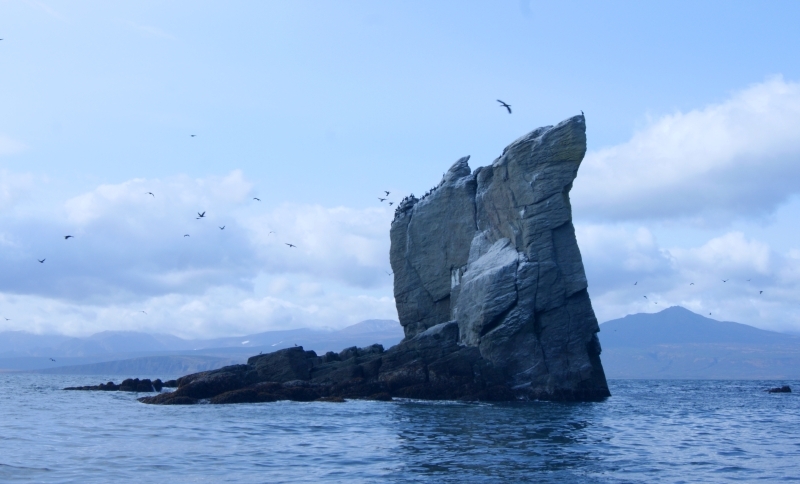 Ptichy Islets, which name means the island of birds, are made of volcanic ashes and basaltic rocks. There are home to many bird species, sea lions and the big (1,5m) sea otter. 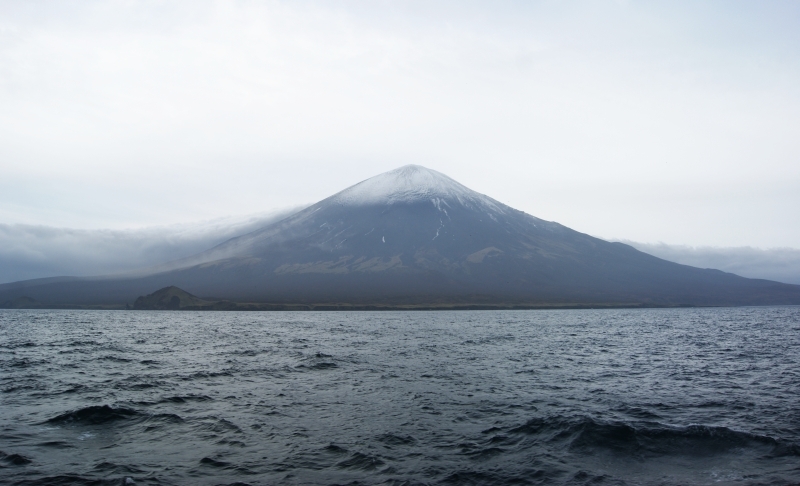 Atlasov Island is the northernmost and the highest point of the Kuril Islands (2,339 m), formed by a volcanic cone. The Japanese poet Ito Osamu wrote haikus dedicated to its perfect shape, describing it as “more exquisitely shaped than Mount Fuji”. The perfect shape of the volcano is due to the fact that there is no prevailing wind in that area, so during its eruption phases, lava and ashes fell down gradually in all directions. 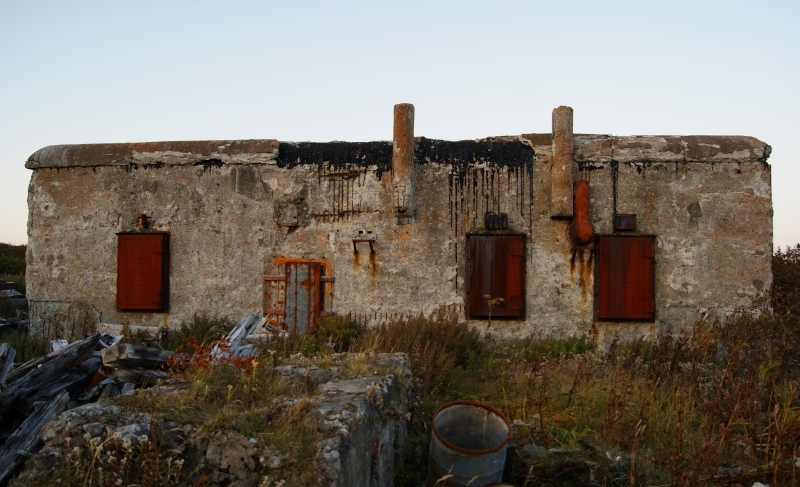 During Soviet era, there was a labour camp for women on Atlasov island. Considering it is a totally empty and barren place, life there was very difficult, to say the least. 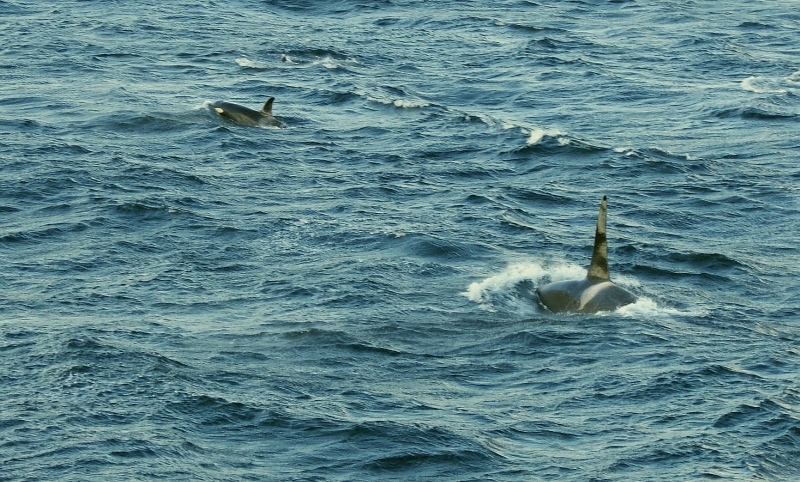 It is not uncommon to meet killer whales in the Okhotsk Sea. Here there’s a 10 m long male, with his straight vertical dorsal fin, following a female. They were spotted near Atlasov. Killer whales live in pods of 5 to 10 members. 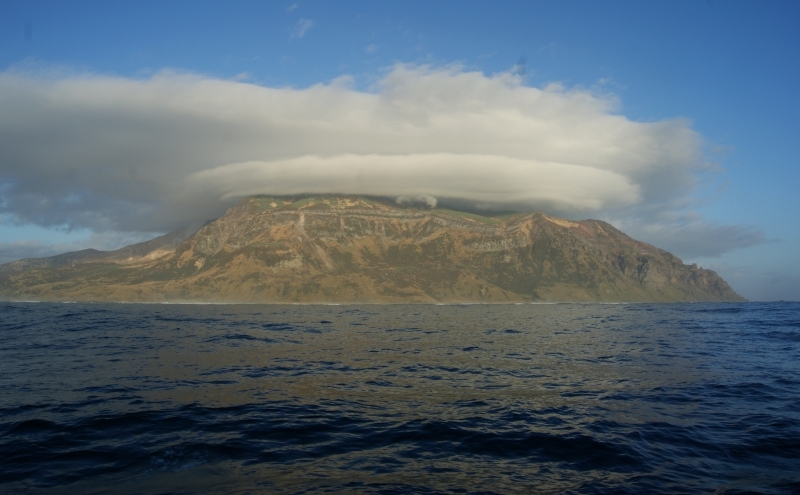 Kharimkotan Island, is a round shaped island with a 1210 meter high volcano. Kharimkotan is situated between the much bigger Onekotan and Shiashkotan Islands. 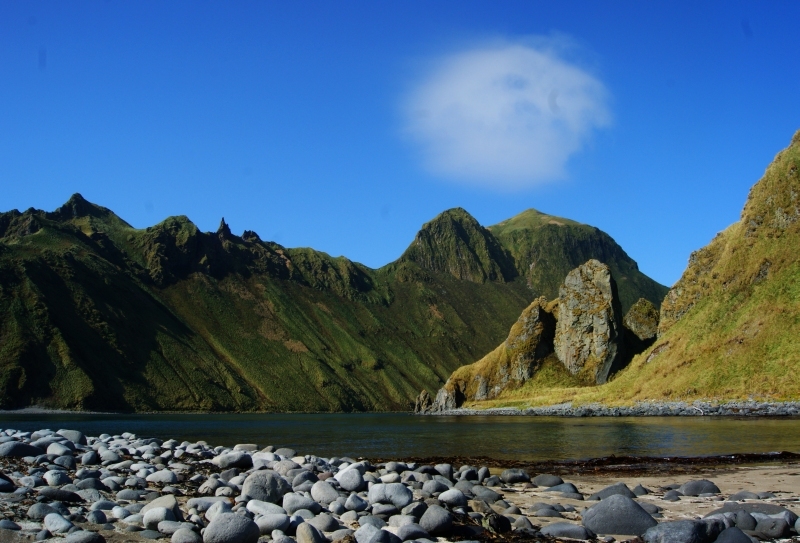 Shiashkotan, in the center of the Kuril Islands. Like Onekotan, Shiashkotan is roughly sand clock shaped, formed by two volcanic islands joined together by a narrow isthmus. Behind the green slopes is the Sinarka volcano, at the north of Shiashkotan. less room for vegetation as in the northern part. Yankicha is a very scenic volcanic caldera filled with a lake. Yankicha is the southern part of Ushushir Island. 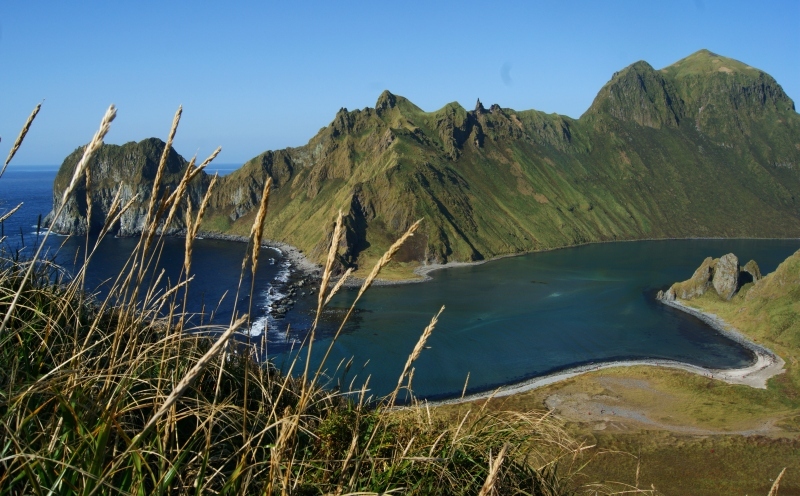 When a tiny isthmus is not submerged by the sea, Yankicha is linked with Ushushir northern part, forming a bigger island. Yankicha geologic history boasts practically all possible aspects of volcanic activity: The Yankicha caldera is the result of underwater pillow lava reaching surface to finally reject ashes, while the center of the inner lake is made of cooled lava. 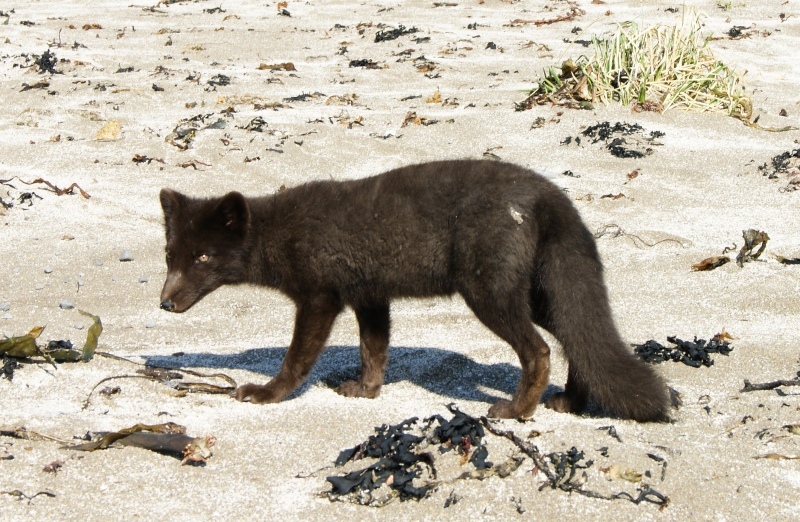 This small arctic fox undergoes its “blue” period. That means it’s not having its winter white fur. The artic fox existence is threatened by global warming that gives more territory to his main competitor, the red fox. In the foreground you can see spherical basaltic bombs rejected by the Yankicha volcano. 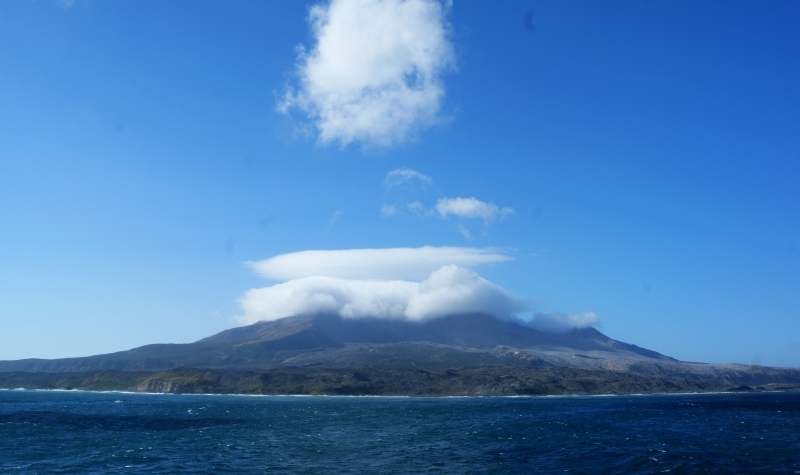 The volcano on Matua Island. These bells are next to the orthodox chapel built in 2009, and, as nobody lives on Matua, dedicated symbolically to the Federal Security Agency guards. 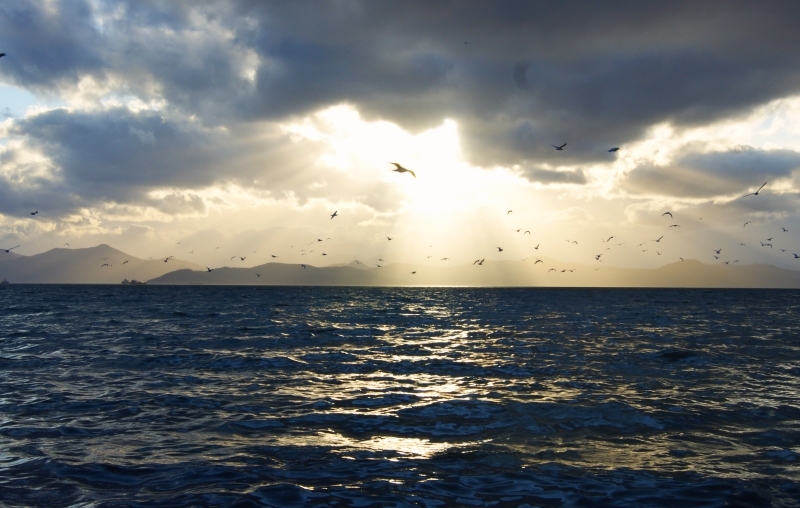 Matua Island was under the Japanese jurisdiction from 1875 to 1945. 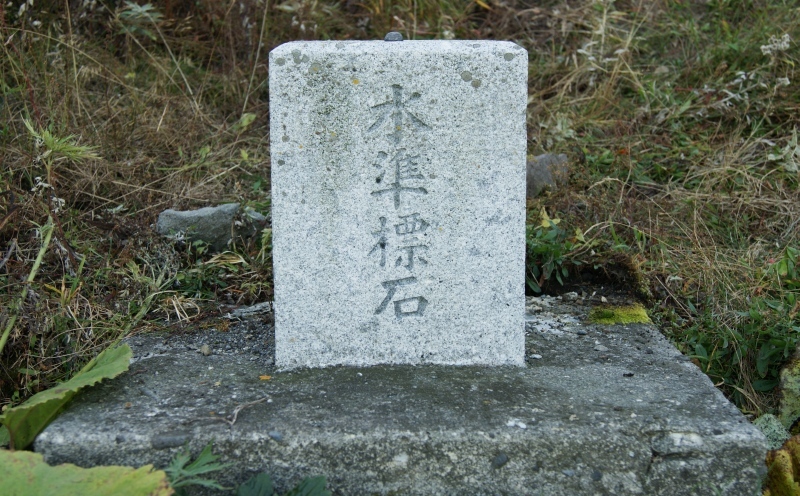 This stone reminds that in the 40’ Matua Island was under the commandment of the admiral Isoroku Yamamoto. The Japanese-built defensive system on Matua Island is impressive. This bunker is among hundreds others, forming a complex network of fortifications. 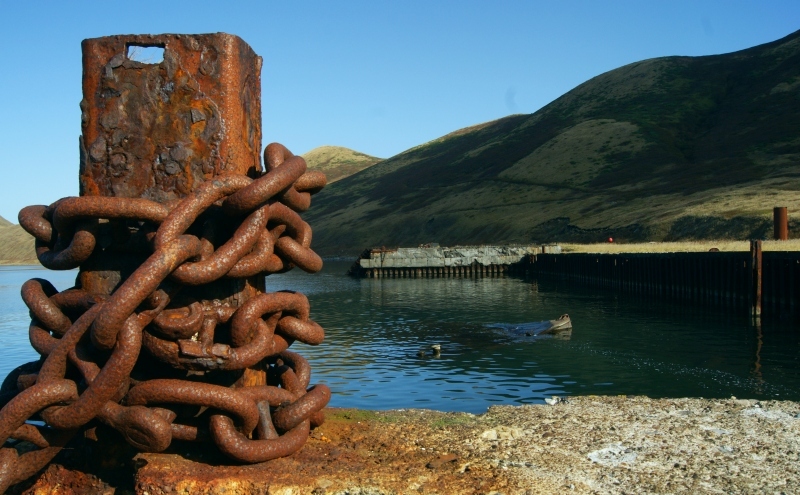 The Kuril Island served in late 1941 as a starting base for the Pearl Harbor attack. These fortifications were used essentially between 1942 and 1945 when in return the American planes bombed the Kuril Islands. The Japanese army on Matua Island could certainly have resisted easily many months against a landing of the allied forces; however, they surrendered in 1945 without having shot a single bullet after they received news of the Japanese capitulation. Shimushir Island was used by the Soviet Navy as a secret submarine base between 1987 and 1994. 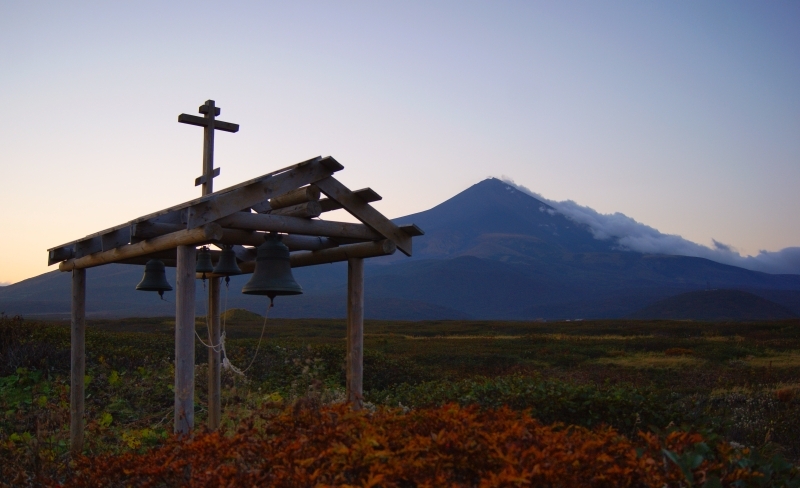 With a weather station and a whaling base, Shimushir had a population of roughly 2,000 people. The base was situated in a huge volcanic caldera, which entrance was enlarged with dynamite, so submarines could pass through it unnoticed. Today the island is uninhabited and the base looks like a ghost city, with rotten canons and vehicles. 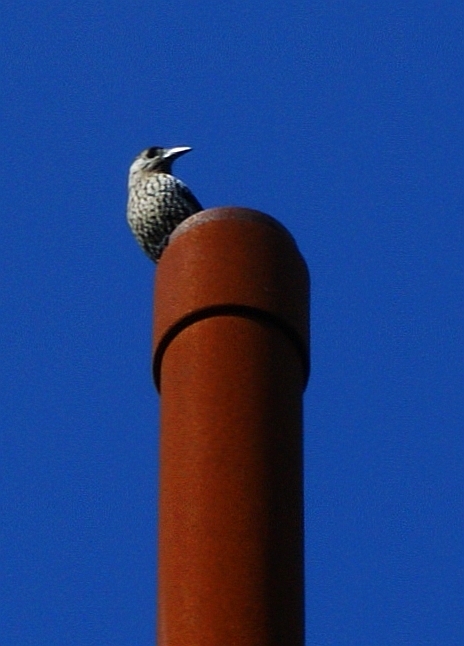 A bird at Shimushir Island on a deserted house. 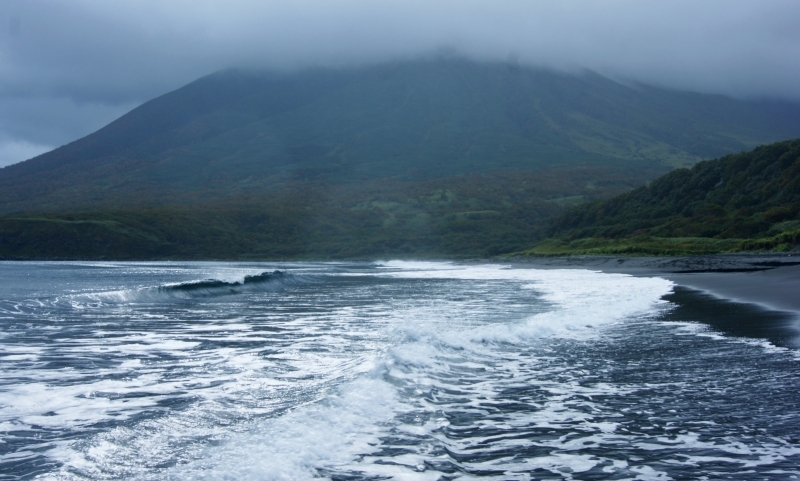 The Iturup Island northern beach is made of black volcanic sand. My trip ended at Sakhalin Island after a stormy night that helped me miss my home and work. If you ask yourself what the point of going to the end of the world to see these uninhabited islands, well, there are many reasons. 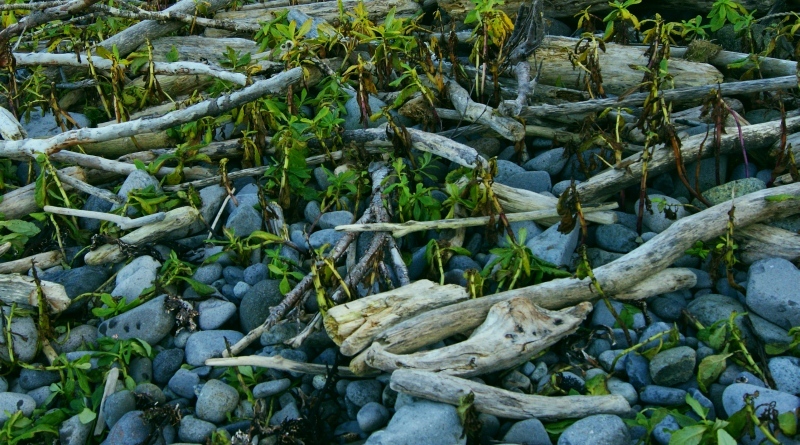 Just like in the Galapagos or Costa Rica, the Kuril Islands are a place where wildlife amazes you at each step. Just like in Iceland, the earth crust is sliding before your eyes, and with all the artifacts left by the Russians, the Japanese and the native tribes, you will get your dose of history and archeology. And oh, did I mention that my trip to the Kuril Islands was so enjoyable thanks to the flawless organization of the French cruise company “La Compagnie du Ponant”? They manage to do cruises in the most remote seas of the globe with a comfort matching a 5-star resort. I couldn’t help but show you a picture of the onboard dance spectacle. I am looking forwards to planning my next (safe) adventures with this company.